By the way, who’s Saint Valentine? A wind of love and tenderness is blowing over EC Oxford. Today, February 14th, is Valentine’s Day. This is an opportunity to explore the history of this character, at the crossroads of Roman mythology and Christian tradition. Did you know that Valentine’s Day has not always been a lover’s day? Its origins remain rather unclear. Its meaning would have changed over the course of history. In the 3rd century, the Roman Emperor Claudius II, who had difficulty recruiting soldiers, considered that families could be the cause and decided to ban marriages. Nevertheless, the priest Valentine continued to celebrate the union of lovers. The sovereign, upon learning of this betrayal, sentenced Valentine to death. In prison, he still had time to fall madly in love with his guardian’s daughter, who was blind. Just before being beheaded, he restored her vision by slipping her a sweet note signed “Your Valentine”. It’s up to you to decide if the ending is a legend or not! In the Middle Ages, processions began to be organised to celebrate the day of the lovers. The young men who had to choose their riders for the processions were called the Valentines. Later, the “romantic” dimension of the celebration began to emerge by the end of the Middle Ages in England. The dreamy image of Valentine in love with the heart of his beautiful spreads through the delicate words of Captain Othon de Grandson, poet at the court of England. At the beginning of the 15th century, Charles d’Orléans, a captive of the English, also composed several ballads dedicated to love and Valentine’s Day, which spread throughout Europe. Pope Alexander VI, in 1496, gave the title of “patron saint of lovers” to Valentine of Terni, the 3rd century priest who married couples in secret. 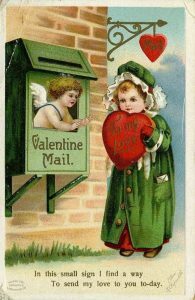 In 19th century, Western Europe love notes decorated with a small heart became a common practice between the “Valentines”. Then, the custom passed across the Atlantic. 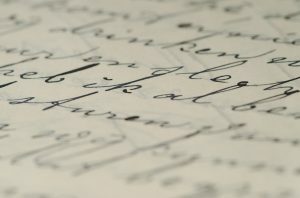 And in the middle of the 19th century, the Americans launched the first cards, in reference to the old love letters. Today, this celebration, once again secular, is still the day of lovers. But practices have changed from one country to another. In China, since the 1980s, couples of lovers have been going out to restaurants, to the cinema or to have a drink. 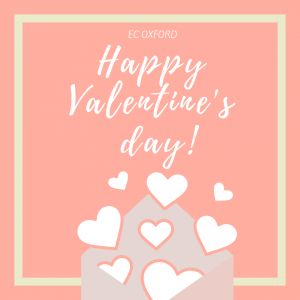 In Japan, women offer chocolates to men, husbands, co-workers and male friends, while in the United States, it is the day when everyone offers cards to all their loved ones, in the broadest sense of the word: family, friends and lovers. 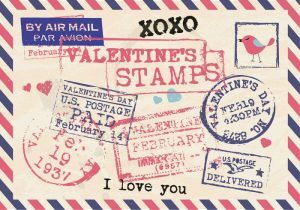 As a result, the tradition continues and every year, on Valentine’s Day, more than a billion cards and sweet words are exchanged around the world! Do you celebrate Valentine’s Day in your countries? And if so, how?